Red Ribbon Week is the oldest and largest drug prevention campaign in the country. Red Ribbon Week generally takes place the last full week in October. It serves as a vehicle for our community and individuals to take a stand for the hopes and dreams of our children through commitment to drug prevention and a personal commitment to live drug free lives. And equally important, Red Ribbon Week commemorates the ultimate sacrifice made by DEA Special Agent Enrique “Kiki” Camarena, who died at the hands of drug traffickers in Mexico while fighting the battle against illegal drugs to keep our country and children safe. The DEA sent Camarena to work undercover in Mexico investigating a major drug cartel believed to include officers in the Mexican army, police and government. On Feb. 7, 1985, the 37-year old Camarena left his office to meet his wife for lunch. Five men appeared at the agent’s side and shoved him in a car. One month later, Camarena’s body was found in a shallow grave. He had been tortured to death. Within weeks of his death in March of 1985, Camarena’s Congressman, Duncan Hunter, and high school friend Henry Lozano, launched Camarena Clubs in Imperial Valley, California, Camarena’s home. Hundreds of club members pledged to lead drug-free lives to honor the sacrifices made by Camarena and others on behalf of all Americans. These Coalitions began to wear red badges of satin, red ribbons, as a symbol of Camarena’s memory. The Red Ribbon Week campaign emerged from efforts of these clubs and coalitions. Today, Red Ribbon Week is nationally recognized and celebrated, helping to preserve Special Agent Camarena’s memory and further the cause for which he gave his life. 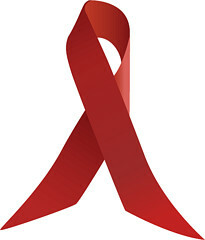 The Red Ribbon Campaign also became a symbol of support for the DEA’s efforts to reduce demand for drugs through prevention and education programs. By wearing a red ribbon during the last week in October, Americans demonstrate their ardent opposition to drugs. They pay homage not only to Special Agent Camarena, but to all men and women who have made the ultimate sacrifice in support our nation’s struggle against drug trafficking and abuse. -Starr County Community Coalition of SCAN, Inc.